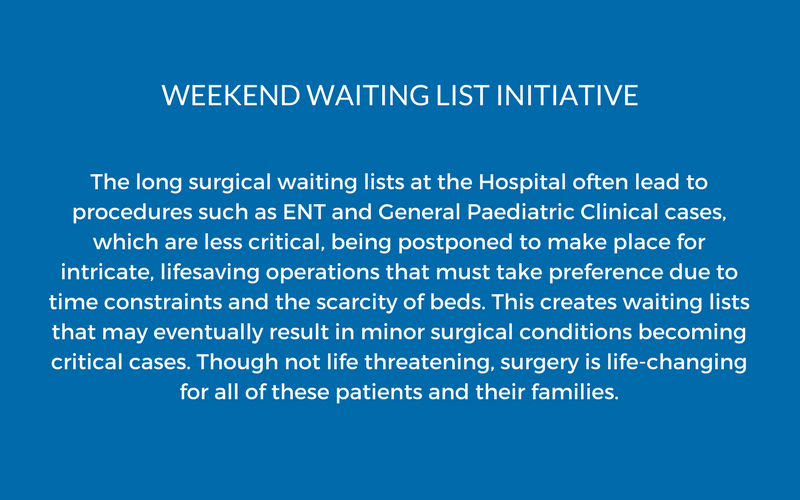 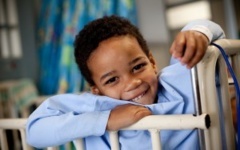 We believe that every day spent in hospital is a day less of childhood. 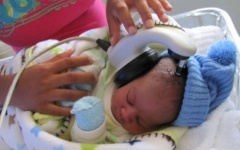 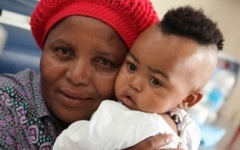 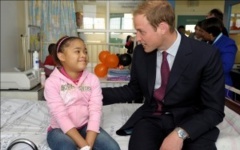 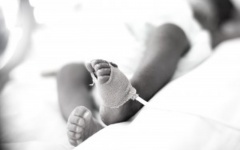 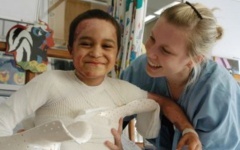 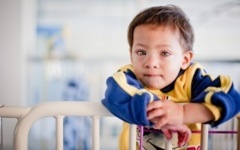 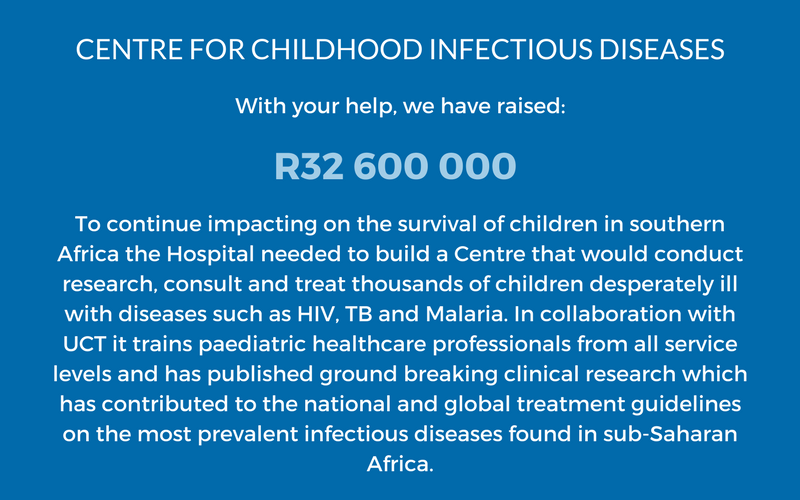 The Children’s Hospital Trust is compelled by our commitment to get children back home where they belong. 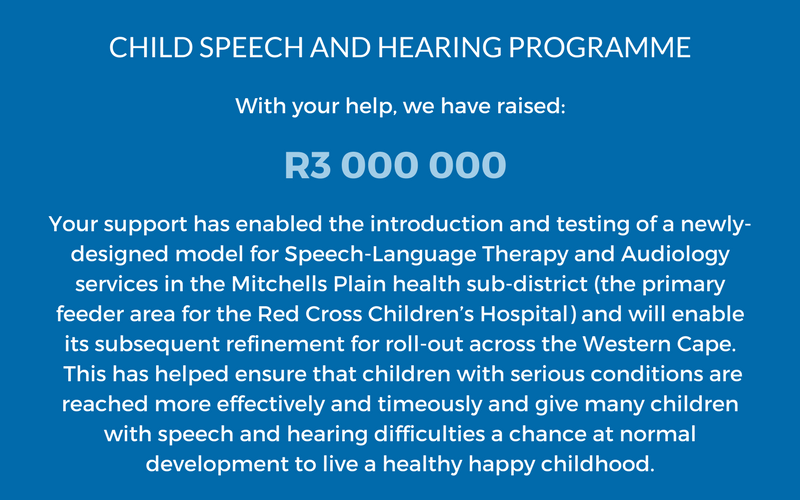 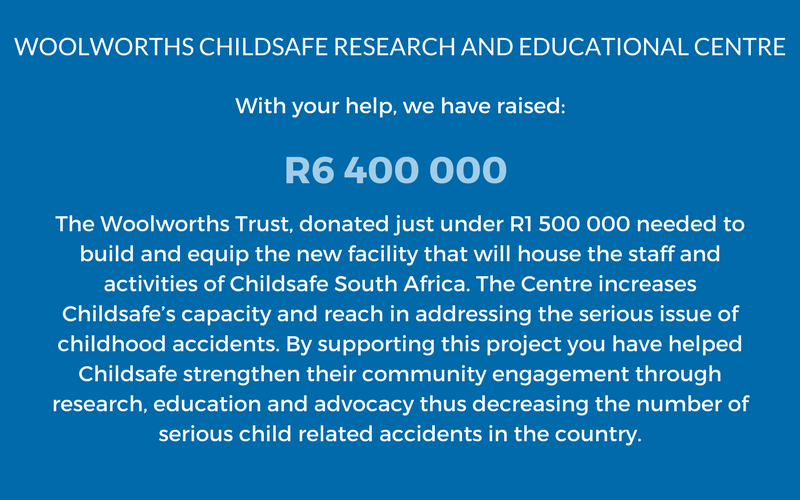 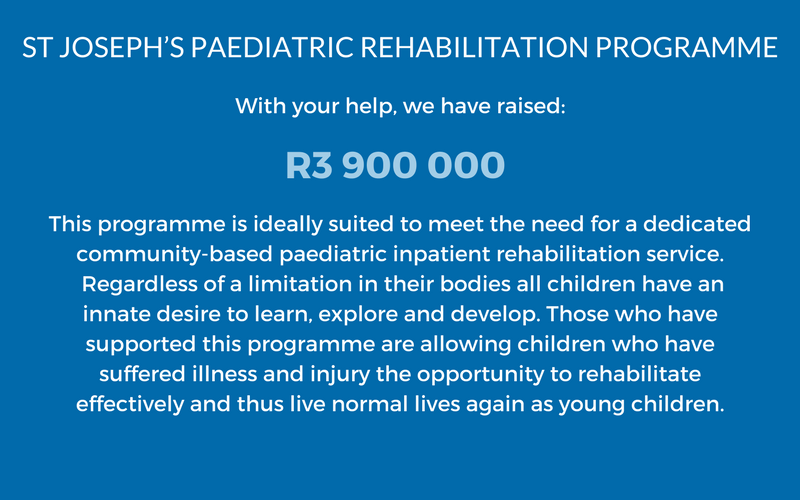 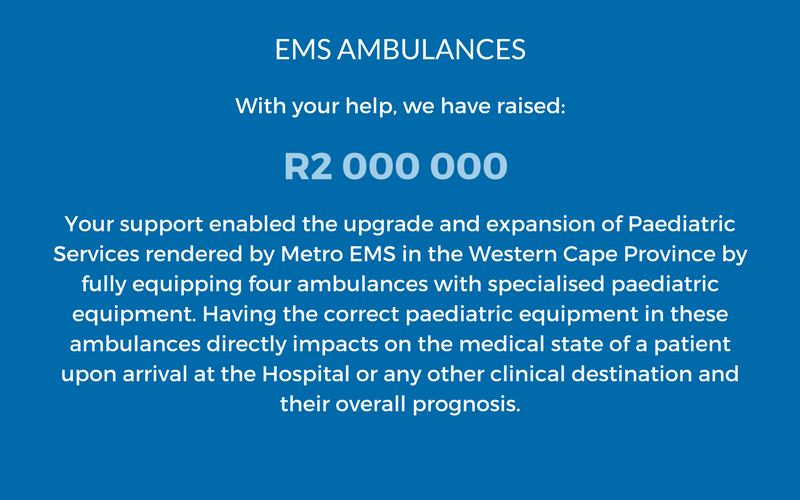 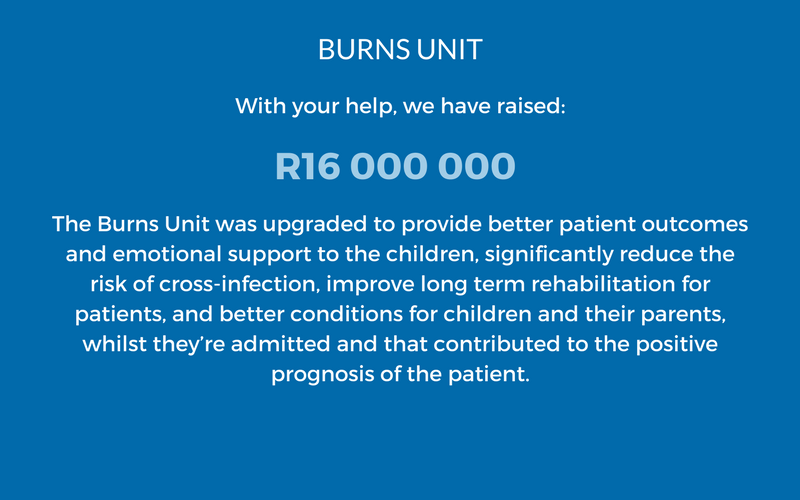 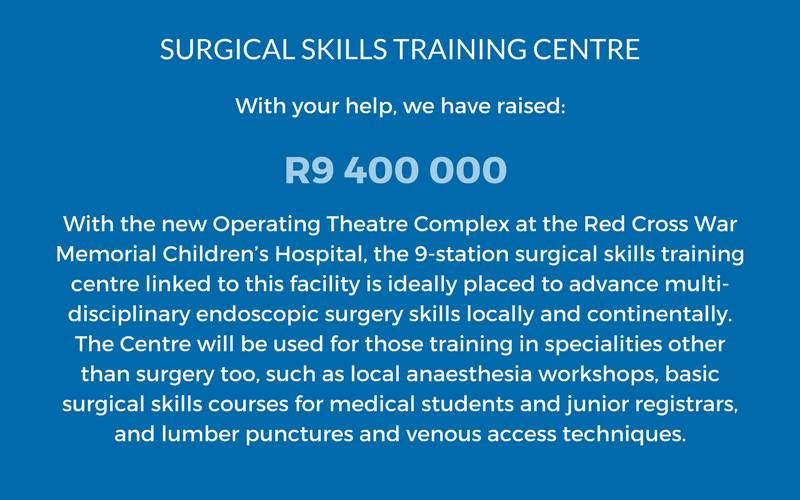 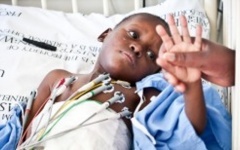 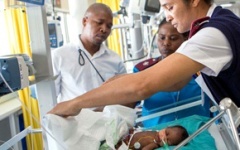 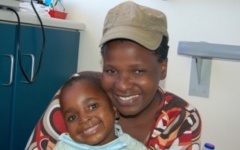 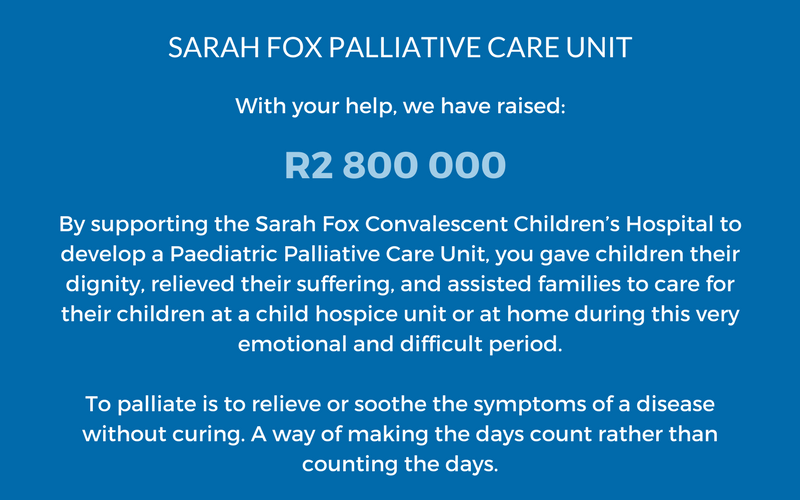 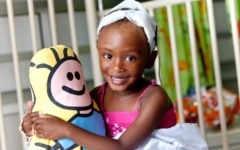 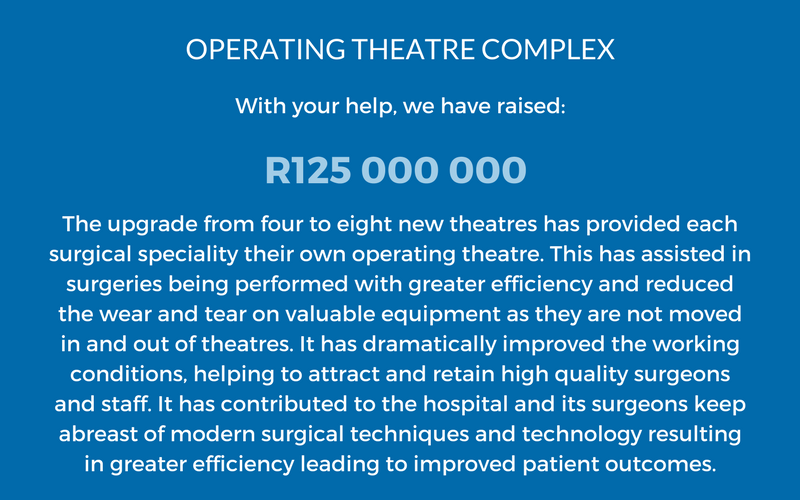 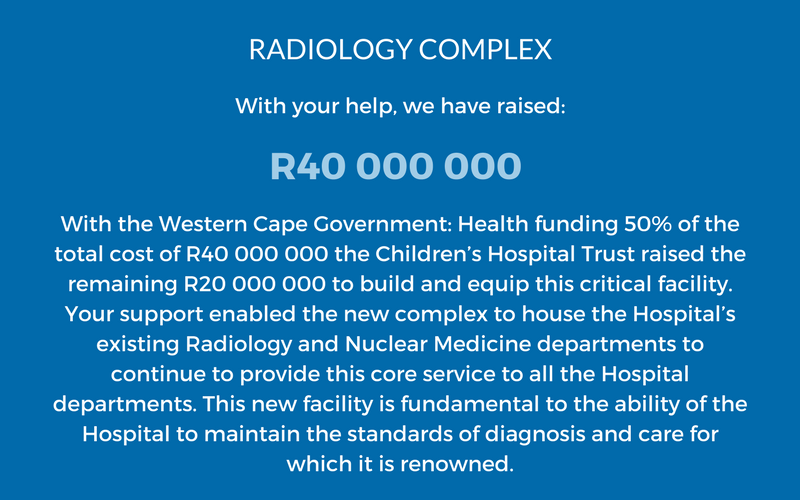 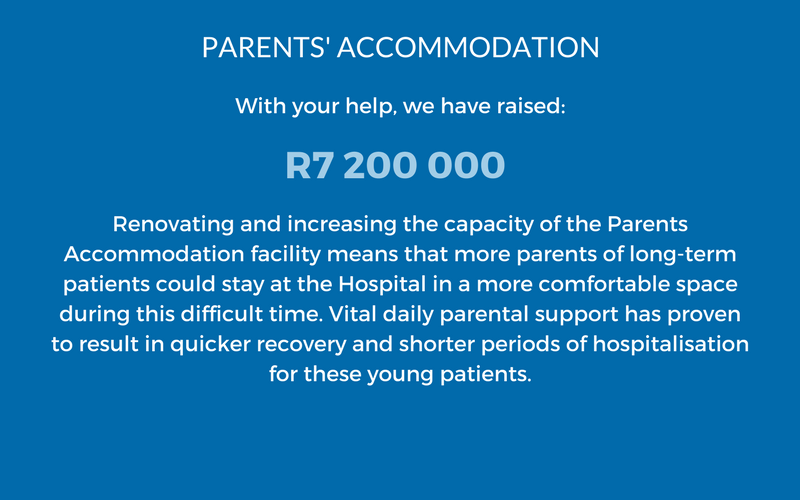 During the past two decades the Children’s Hospital Trust has raised over R600 million to upgrade and expand the Hospital’s buildings, purchase state-of-the-art equipment, support key services, unblock backlogs in critical service areas, and develop professional staff – ensuring that this extraordinary beacon of hope, remains a world-class and globally-respected medical facility. 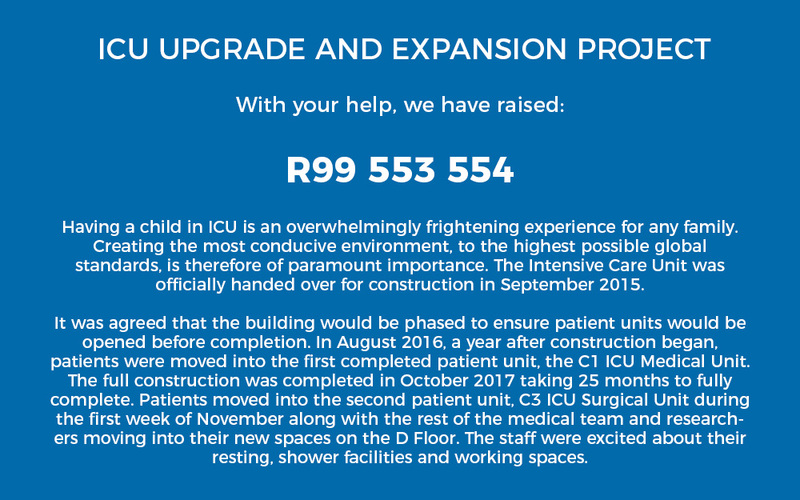 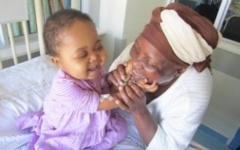 Funds have also supported ground-breaking child healthcare initiatives outside of the Hospital, strengthening services for children at other levels of the health system and reducing the burden on the Hospital. 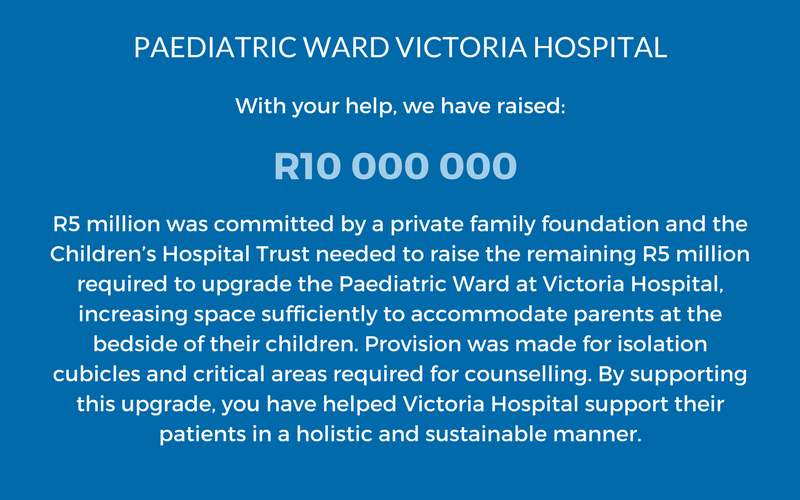 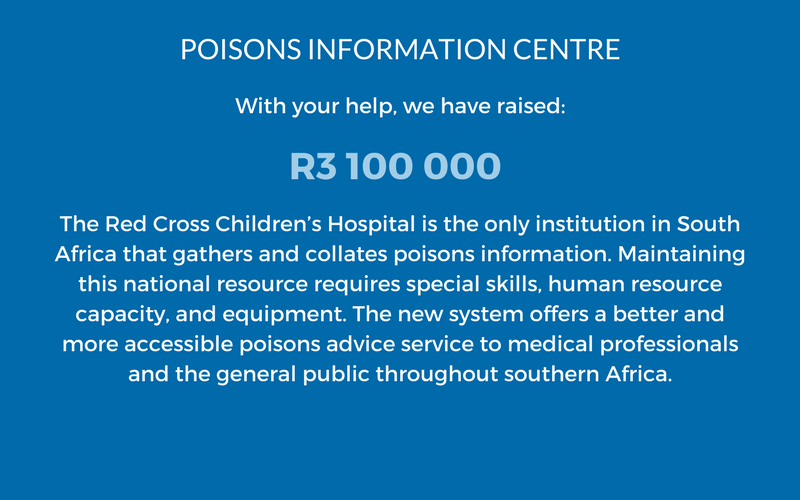 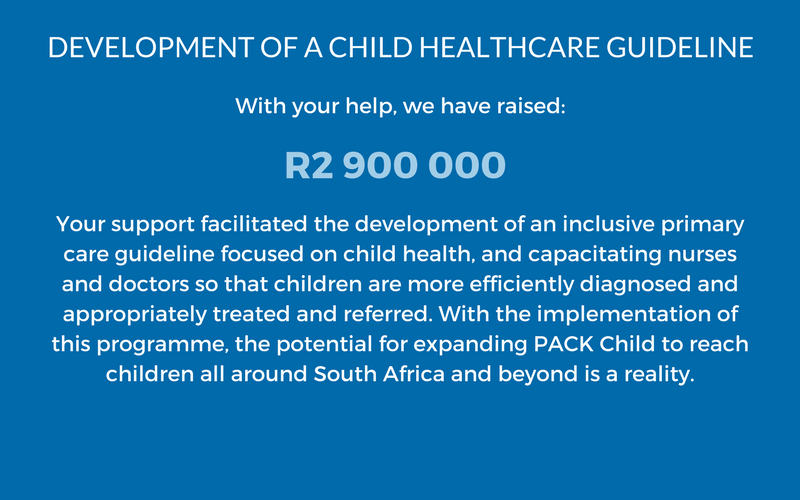 100% of all donations go directly to the Hospital and prioritised child healthcare needs, and not a single cent is spent on administration costs.